First, I am not a cauliflower fan. Just saying the name “cau-li-flow-er” makes my head shake. Second, I’m starting this post with cauliflower so that should tell you that it’s in the forefront of my mind. It’s not that cauliflower is bad — I just haven’t been able to acquire a taste for it. Well, let’s talk about the “Chicken Country Captain” recipe that we trialled first. Several ingredients started with the word “sweet” so that’s always a good thing for me. Sweet onion, green sweet pepper, yellow sweet pepper — so, what’s not to love? 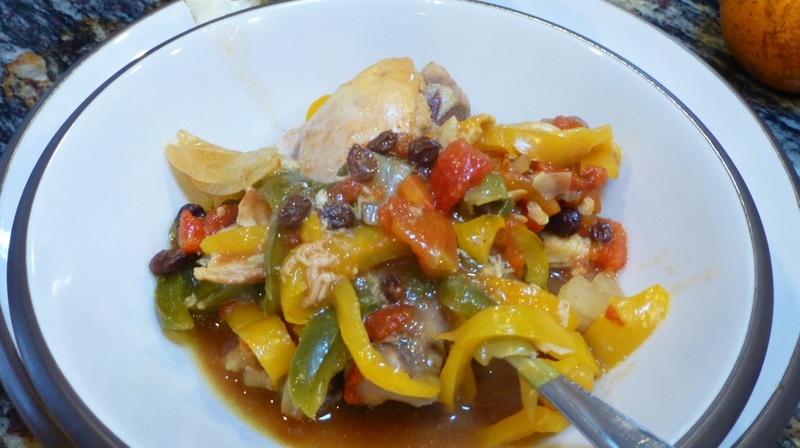 But, you do have to love peppers as this recipe is chockfull of them. Now the cauliflower. 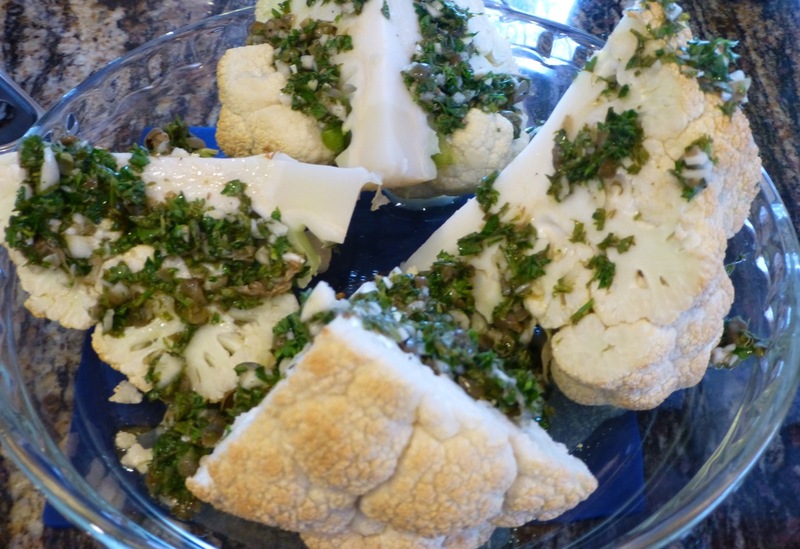 I took a great picture of the Roasted Cauliflower with Lemon, Garlic and Capers Dressing. Alas! For me, this recipe couldn’t be saved because I simply don’t like cauliflower. But I’m sure all you cauliflower fans will love it! My son is so good at cooking various foods for us as we continue trialling the paleo diet. Even when we tell him that we don’t particularly enjoy eating a certain food, he’ll try to find a recipe that might change our mind. That’s a good thing, no? So, we’ll keep trying new recipes and let you know how we like/dislike them. And if you ever make one and change it to something you think enhances it, please share!